What SC Johnson is today cannot be separated from the influences of Sam Johnson. Over the course of four decades, he diversified and transformed a $171 million wax business into an $8 billion family of enterprises. He led the team that developed the Glade®, Raid®, Pledge® and OFF!® brand product lines. He propelled us into 65 countries, with sales in more than 100. And, he was an environmentalist long before it became a trend. At age 18, Sam left home in Racine, Wisconsin for upstate New York, where he attended Cornell University — graduating in 1950 with a B.A. in economics. At school, he met Imogene Powers, a mathematics major with a strong interest in astronomy, who would later become his wife. After receiving his M.B.A. from Harvard Business School, Sam was called up for active service as a U.S. Air Force Intelligence Officer. The Korean War was still on. When returning on leave, a major life question loomed: after three generations of family leadership, should he join the family business? Sam Johnson tells of visiting the SC Johnson factory when, as a young man, he was pondering his future and whether to join the family company. Sam formed his most enduring partnership in 1954. He and Imogene Powers wed, and their marriage would thrive for 50 years until Sam’s death in 2004. He also joined SC Johnson as Assistant to the President and just a year later, he was named New Products Director. Sam threw himself into the assignment, working to help expand the company beyond our original wax products. 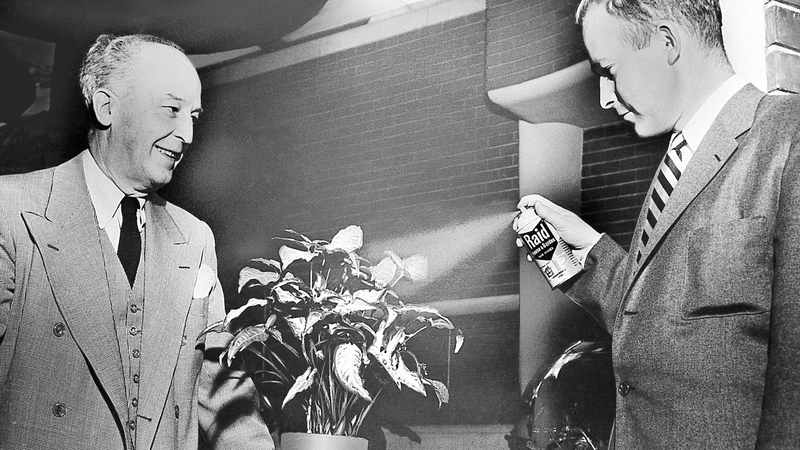 And in just a few months his team came up with a new product – an aerosol insecticide. Sam (right) led the team that created Raid®, one of the company’s most popular and enduring brands. 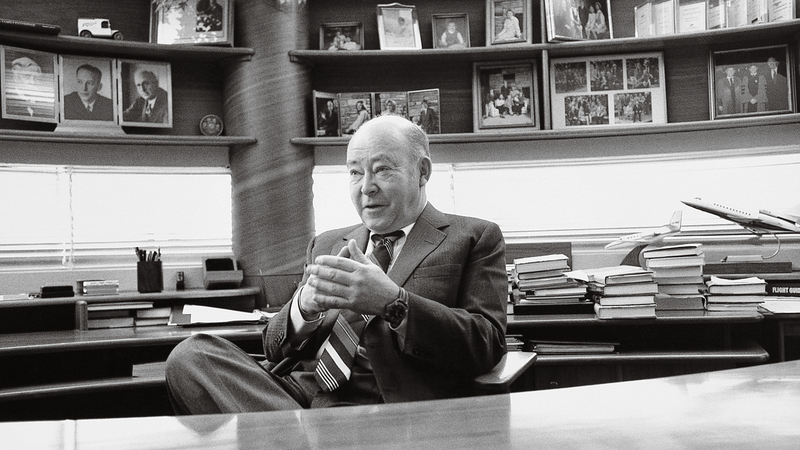 Under Sam’s leadership, the new products team launched SC Johnson into many new businesses. The first would become the Raid® line of insecticides. Second was the beloved Glade® air freshener. Both of these lines became outstanding successes and continue to introduce new products to consumers around the globe. Other innovations included Pledge® furniture products and OFF!® repellents. Sam also backed the acquisitions of critical brands including Windex® glass cleaner, Ziploc® brand bags and Scrubbing Bubbles® bathroom cleaner, to name just a few. 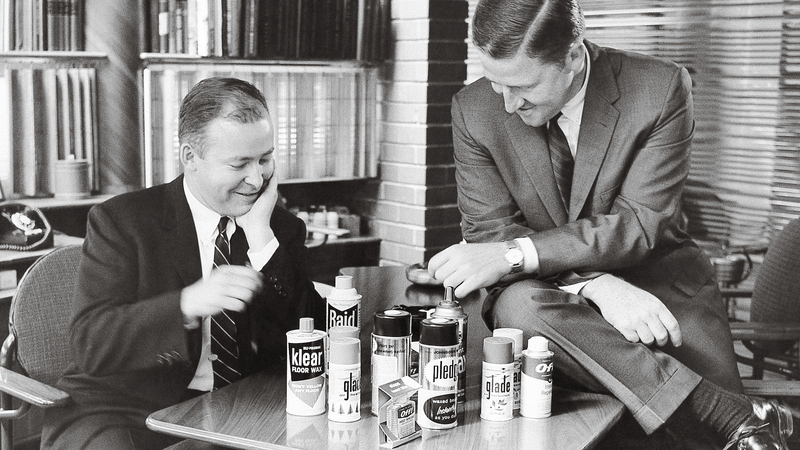 Sam (left) championed innovative new products as well as their expansion around the globe. Following World War II, while the company had already expanded to many global markets, Sam’s father, H.F., was skeptical about opening an operation in Italy. But when Sam visited Italy in the late 1950s, he found Colgate toothpaste and Lever detergents everywhere. He recalled, “We had missed it! Or, at best, we were late… It was then that I vowed never to be late getting into a market.” From that moment onward, Sam led the company through an exceptional period of global expansion, adding operations from Ghana to Greece, Turkey to Thailand and Chile to China. 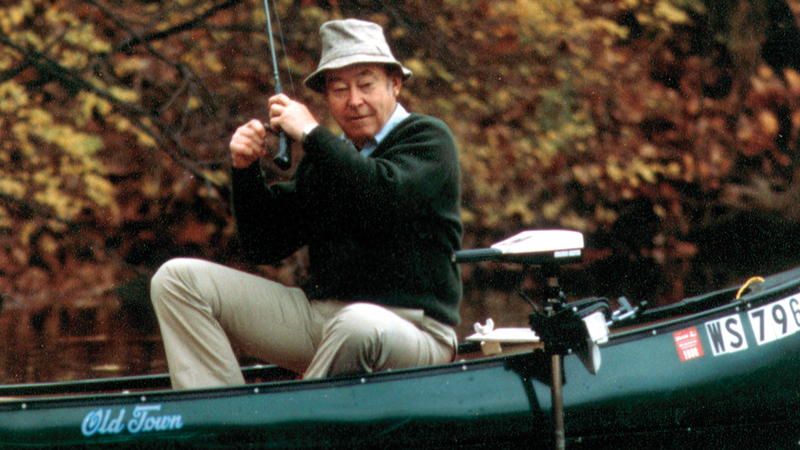 Even more than products, Sam was known for the principles he brought to life for the company. He famously banned chlorofluorocarbons (CFCs) from SC Johnson products worldwide – three years before the government mandated the change. It was one of the earliest examples of corporate activism on behalf of the environment. In 1976, Sam led the company’s leadership team to formally articulate our principles in This We Believe. More than 40 years later, This We Believe remains fundamental to who we are and how we operate around the world today. In the 1980s, he supported the opening of SC Johnson’s first corporate childcare center – one of the first of its kind in the United States. And these are just a few examples. LEFT : Sam was an avid photographer, traveling the world to capture images of nature. RIGHT : An outdoorsman, Sam particularly loved spending time on Lake Owen in northern Wisconsin. TOP : Sam was an avid photographer, traveling the world to capture images of nature. BOTTOM : An outdoorsman, Sam particularly loved spending time on Lake Owen in northern Wisconsin. Sam was a visionary and an innovator, but just as important, he was an adventurer. He loved the outdoors and was an accomplished pilot. 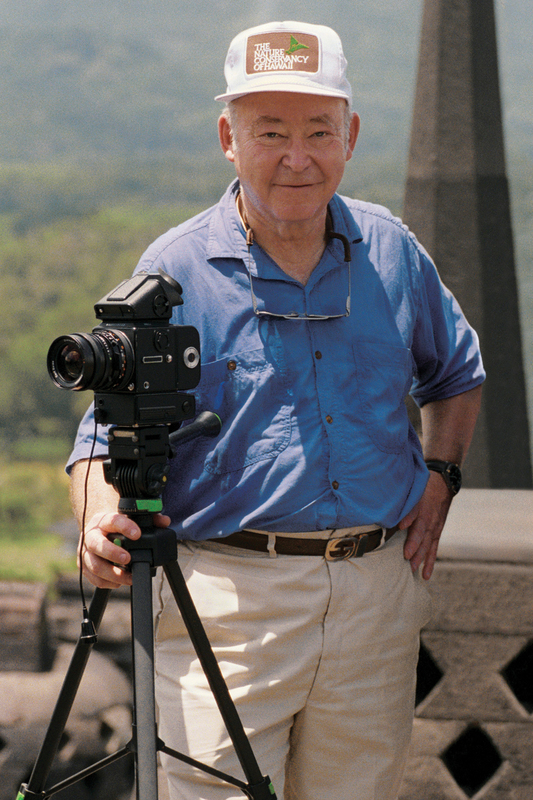 An avid photographer, he traveled the world capturing amazing images of the planet he loved. 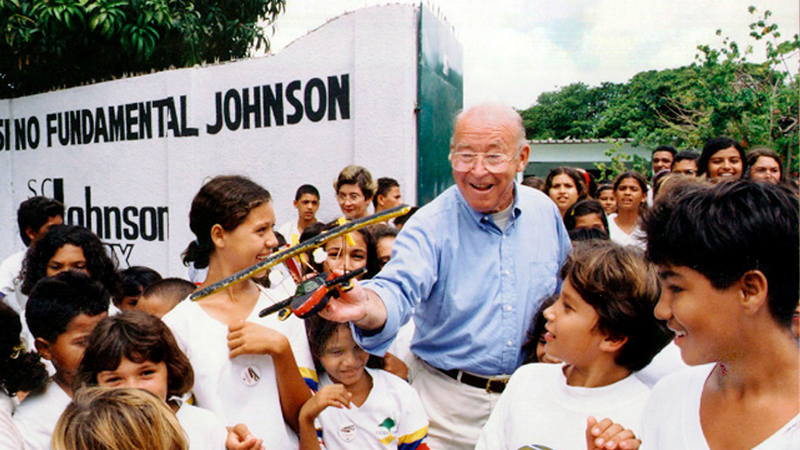 Most alluring was H.F. Johnson, Jr.’s legendary 1935 expedition to Brazil. Sixty years later, Sam decided to retrace his father’s footsteps. The journey he found was not what he expected. 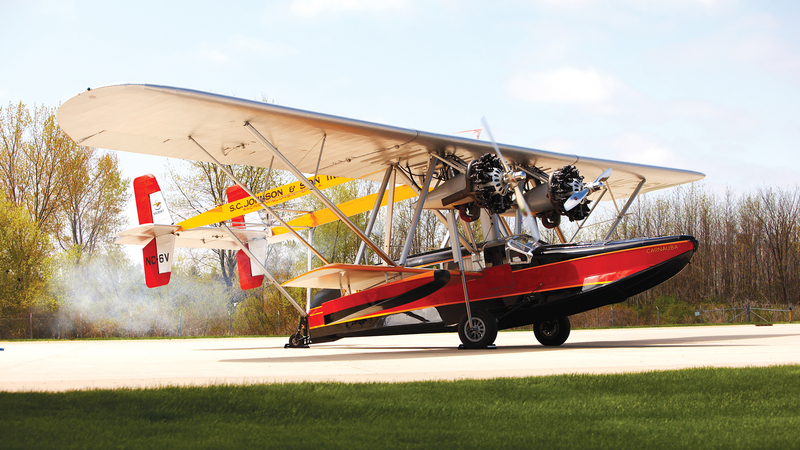 Sure, it was a marvelous 7,500-mile adventure in a remarkable replica Sikorsky S-38 aircraft. But even more than that, it was a revelation about family. As Sam explains in the film Carnaúba, A Son’s Memoir, the expedition became a way to reconnect with his father and even further strengthen his bond with his own family. 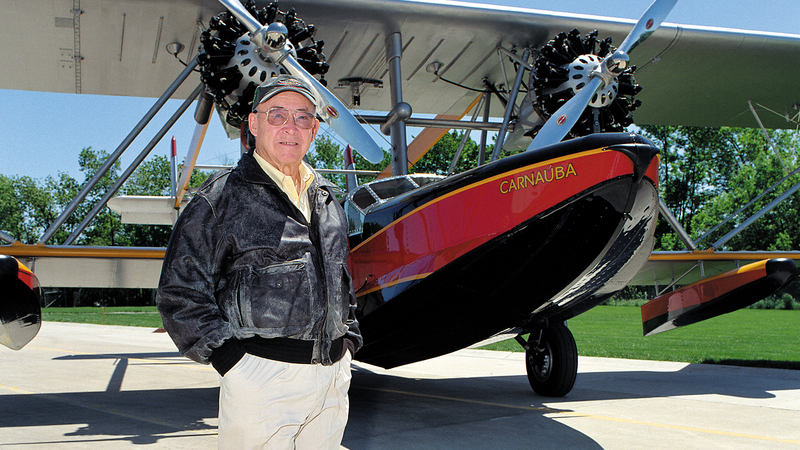 To recreate his father’s 1935 expedition to Brazil, Sam built a replica Sikorsky S-38 amphibian plane. Sam did so much more than that. His vision, his principles and his love of family inspire who we are to this day.